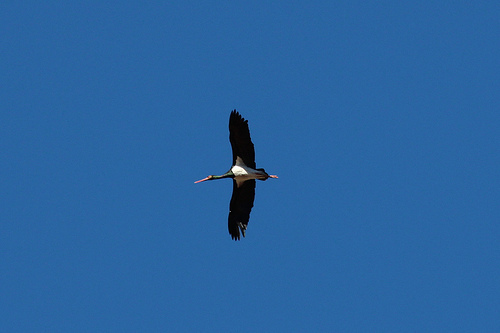 The Black Stork is mainly found in eastern Europe. Contrary to the common Stork it doesn't like to be too close to human settlement. 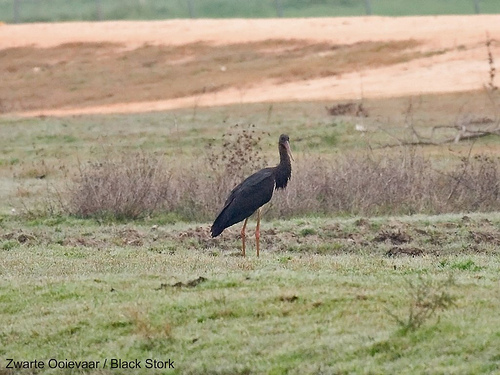 The Black Stork has a black head and neck and totally black wings. The common Stork has a lot more white.